... and the long awaited second Encyclical of the Holy Father Pope Benedict XVI, Spe salvi, has been presented and is already available in English translation. Praised be Jesus Christ! Blessed are those who die in penance, for they shall be in the kingdom of heaven. Woe to those who do not die in penance, for they shall be the children of the devil whose works they do, and they shall go into eternal fire. Beware and abstain from every evil and persevere in good till the end. The following passages are taken from Pope Benedict XVI, The Yes of Jesus Christ: Exercises in Faith, Hope and Love (New York: Crossroad Publishing Company, 1991). They may be a hint of what we can expect to find on the morrow. “I think one can only understand the true nature of Christian hope and can only live it afresh if one sees through for what they are its imitations and distortions [ideological optimism] that are trying to foist themselves on to it. The greatness and the reasonableness of Christian hope come to light again only if we liberate ourselves from the pinchbeck allure of their secular imitations” (p. 44). “The goal of Christian hope is the kingdom of God, that is the union of the world and man with God through an act of divine power and love” (p. 46). “[T]he justification of Christian hope is the incarnation of God’s word and love in Jesus Christ” (p. 47). “The aim of Christian hope, by contrast, is a gift, the gift of love, which is given us beyond all our activity: to vouch for the fact that this thing that we cannot control or compel and that is yet the most important thing of all for human beings does exist, and that we are not clutching at thin air in waiting insatiably for it, we have the interventions of God’s love in history, most powerfully in the figure of Jesus Christ in whom God’s love encounters us in person” (p. 47). “The hope of faith, on the other hand, reveals to us the true future beyond death, and it is only in this way that the real instances of progress that do exist become a future for us, for me, for every individual” (p. 49). “Jeremiah the pessimist showed himself to be the true bearer of hope. For the others everything had necessarily to have come to an end with this defeat: for him everything at this moment was beginning anew. God is never defeated, and his promises do not collapse in human defeats: indeed, they become greater, as love grows to the extent that the beloved has need of it” (p. 51-52). “The theory put forward by many scholars that all great prophets have been prophets of doom is false. But it is correct that their genuinely theological hope did not coincide with superficial optimism and that, as bearers of true hope, these great figures were at the same time relentless critics of current parodies of hope” (p. 52-53). “The sermon on the mount is a word of hope. In fellowship with Jesus what is impossible becomes possible: the camel goes through the eye of a needle (Mark 10:25). In being one with him we become capable too of fellowship with God and thus of conclusive salvation. To the extent that we belong to Jesus his qualities are realized in us too – the beatitudes, the perfection of the Father” (p. 63-64). “To hope is to fly, said Bonaventure: hope demands of us a radical commitment…. The supernatural, the great promise, does not push nature to one side. Quite the contrary: it calls forth the commitment of all our energies for the complete opening up of our being, for the unfolding of all its possibilities” (p. 65). “The concluding formula of liturgical prayers, ‘through Christ our Lord,’ corresponds to the fact that Christ is realized hope, the anchor of our hoping” (p. 66). “Those who despair do not pray any more because they no longer hope: those who are sure of themselves and their own power do not pray because they rely only on themselves. Those who pray hope in a goodness and in a power that transcend their own capabilities. Prayer is hope in execution” (p. 66-67). “Learning to pray is learning to hope and thus learning to love” (p. 68). “Hope is … the certainty that I shall receive that great love that is indestructible and that I am already loved with this love here and now” (p. 70). “Christian tradition is aware of two attitudes that are fundamentally opposed to hope: despair and presumption” (p. 70). If you are on the hunt for quality Christmas cards with beautiful images, be sure to have a look at Thomas Craughwell's Antique Holy Cards. Is it just me, or are actual Christmas cards harder to come by these days? Antique Holy Cards an excellent selection of four cards, in addition to his beautiful note cards and cards for other occassions. If someone challenges your position as being from a privately held belief, challenge them on that statement. First, since when is it wrong to have strong convictions about how the country should be run? Secondly, that the statement was made shows that they have theory of how the country should be run that mimics very much a religious standpoint which then should be deemed every bit as unallowable. There are no “neutral” standpoints. That is a fallacy. The American Papist plans to be up early to provide coverage of the presentation of Spe salvi. The Carolina Cannonball is holding a contest for "The Ugliest Vestment." There will even be a "nice, kitschy prize" for the winner! Rocco kindly provides the response of the Holy See to the letter signed by 138 Muslims. If idiots grew on trees this place would be an orchard. HERE I AM. Now what are your other two wishes? I'm not bossy, I just know what you should be doing. Sorry about global warming. It's all my fault - I'll take care of it. I took the Road Less Travelled and got to work on time. Sometimes I wonder...why is that frisbee getting bigger - and then it hits me. Life is a circus, and I'm stuck in the freak tent. Can we declare a snow day? I may not be right but I can sure sound like it. The villagers are coming with torches and pitchforks. Please hide me. Fr. Selvester at Shouts in the Piazza has a thorough post on the season of Advent to help us prepare to celebrate the four-week season well. The post may be a bit lengthy but it is worth a read. A couple of weeks ago I took a drink of DrPepper after finishing a piece of pineapple upside down cake. The combination of pineapple with DrPepper was delightful. This morning I opened the refrigerator and was happy to see a bowl of freshly cut pineapple our cook left for us. Wanting to put it to good use, I poured a can of DrPepper into a glass this afternoon and plopped in a couple pieces of pineapple. After stirring it around I took a drink; I liked it very much. You should try it, too. Of course, if you don't like Pineapple, you can always add a slice of lemon and a couple of cherries to DrPepper. That's what I do at restaurants and the good waitresses remember, though not without first giving me a rather odd look. You are holy, Lord, the only God, You do wonders. You, Holy Father, the King of heaven and earth. Lord, God, living and true. You are enough for us. One of my friends sent me the following announcement from her parish bulletin and asked for my thoughts. These I shall give, as well as other thoughts that relate to it. JUST A REMINDER: When we approach to receive Holy Communion, we should make a slight bow while the person in front of us is receiving the Eucharist. More specifically, the General Instruction of the Roman Missal instructs us in the following manner: “When receiving Holy Communion, the communicant bows his or her head before the Sacrament” (160). A great number of communicants make a profound bow (a full bow from the waist) prior to the reception of Holy Communion. I am not saying this is wrong – indeed, it seems to make more sense than a simple bow of the head – but it is not what the Instruction tells the communicant to do. This provides the reverence of our faith for what is taking place at that moment. More importantly, the bow of the head concerns not so much what is happening, but what has happened. It is, above all, “a gesture of reverence” toward the Eucharistic Lord who has come to us in the Most Holy Sacrament of the Altar and whom we are about to receive (GIRM 160). We are receiving the Body and Blood of Jesus Christ. The person sharing the Eucharist is to make contact with the person receiving. I cannot find any indication of this in the documents of the Church. It seems an unnatural thing to do, however one interprets this. What if, for example, a communicant wishes to receive the Eucharist on the tongue, which is their right? How is the “person sharing the Eucharist” to “make contact with the person receiving” the Eucharist in this manner? We should have the joy of gratitude in our hearts at that moment. It is for this reason that the altar server assists the priest, deacon or communion minister so that we may place our hand under yours for the sacredness of that exchange. That is not at all the case! In this particular parish, the servers hold the patens (bowls) with the consecrated hosts for the one distributing Communion, standing to the side of the distributor (it’s very odd and something I’ve only heard of at this parish). The one distributing then places their left hand under the hands of the communicant and picks up a host from the bowl being held by the server with their right hand. The altar server is not at all to assist in this fashion. The altar server assists the priest, the deacon, or the extraordinary minister of Holy Communion at this time by holding the Communion-plate (a paten on a pole) “so as to avoid the danger of the sacred host or some fragment of it falling” (Redemptionis sacramentum, 93). If the servers are not holding the Communion-plate or removing the Missal from the altar, they ought to be seated or kneeling in prayer. We approach the banquet table (altar) to receive, not help ourselves. Though I would have maybe said that we approach the “altar (banquet table)”, Father’s point is correct. The Church also invites us to receive in the hand rather than on the tongue. This is not quite right. The universal norm for receiving Holy Communion is to receive it on the tongue, though certain Conferences of Catholic Bishops have received the recognition of the Holy See for the faithful to receive Holy Communion in the hand (see GIRM 161 and RS, 92). It is not so much that the Church invites the faithful to receive Holy Communion in the hand as it is the She allows them to in certain Dioceses. We receive, then we partake. For many years we could not touch the host, chalice or receive under both forms (bread and wine). By saying “we” I can only presume that Father means the laity, since the priest has always been required to receive Holy Communion under both species. What a gift we enjoy each time we gather at the banquet table. Very true. Now it is time to both present and offer the gift worthily and to receive it worthily. As a good priest-friend of mine says, “Say what’s in black, do what’s in red.” Life would be so much simpler if every priest would humbly do so, remembering that he is the servant of the Liturgy and not it’s master. Lord, I am not worthy to receive you, say only the Word and I shall be healed. Reconciliation is a masterpiece of our faith and our liturgy. While the Sacrament of Penance is certainly laudable and a gift for which we ought to be deeply grateful to the Lord, it seems an odd place to conclude this column. Some time ago I posed the question asking if there was a difference between Our Sunday Visitor’s The Apostles: The Origins of the Church and Their Co-Workers and Ignatius Press’ Jesus, the Apostles, and the Early Church: General Audiences 15 March 2006 – 14 February 2007, both by Pope Benedict XVI. Each book is $14.95. I now have both of the books in my possession, the one from Ignatius Press having arrived yesterday. The first thing I noticed is that the IP edition seems larger than the OSV edition, though it seems to be simply a matter of page thickness. I prefer a thicker page, but that is just a matter of taste. Both books seem to be well made, which should come as no surprise. Curiously enough, both editions have art work by Duccio di Buoninsegna (d. 1319) on the cover, and both are from the Maesta altarpiece in Sienna, Italy. The OSV edition has a detail from his Pentecost scene while the IP edition has a detail from his Christ appearing to the Apostles by the Lake of Tiberius. 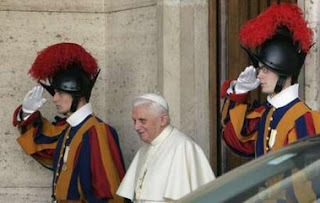 Both of the books include the same Wednesday Audience addresses by His Holiness Pope Benedict XVI. The OSV edition combines the Pope’s three addresses on Saint Peter into one chapter (likewise with the addresses on Saints John and Paul) while the IP edition includes each address as a separate chapter, which I prefer. The IP edition has a helpful Scriptural Index at the end of the book, while the OSV edition reminds readers about Amy Welborn’s excellent study guide. For some of the lengthier chapters, the OSV edition offers subheadings within the text and it occasionally will pull out various quotations to put in text boxes, somewhat like a magazine article will do. The OSV edition includes Scriptural references in footnotes whereas the IP edition includes them in parenthetical citations. I hope this brief review will be helpful for those considering one of the two editions. A good friend from college and a reader of the blog kindly sent word that Communio has linked to an article by Joseph Ratzinger from 1985 entitled, "On Hope." Do have a look, and a read. Many are anxiously awaiting the Holy Father Pope Benedict XVI's second Encyclical letter Spe salvi (Saved by hope)to be presented Friday at 11:30 a.m. Rome time. I, too, am excitedly wondering about this, and am hoping - perhaps against hope - that the English tranlsation will be released at the time of presentation. Since his election to the See of Peter, His Holiness has frequently spoken about hope in his homilies, Wednesday audiences and Angelus addresses. I've collected a few of these words at Beggar for Love, a sort of archive of some of the words of the current Pontiff. You might want to take a look. I will try later today or tomorrow to take a look through some of then-Cardinal Ratzinger's writings looking for what he says about hope in them. Whapster Matthew continues to relay his veritable font of knowledge to us. Might we now pray "Hail, Field Marshall Mary"? 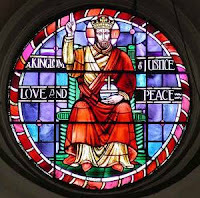 To say that Christ is King, that he is Lord, is to recognize his sovereignty over all things, both visible and invisible, in the heavens, on the earth, and the under the earth. To be his disciple, then, requires that we place ourselves under his sovereignty and, as the Blessed Virgin tells us, “do whatever he tells you” (John 2:5). In our own stubborn pride, though, we very often refuse to submit to the will of Christ, thinking that we somehow know better than he, or that Jesus wants to take something away from us. Simply consider the situation of our first parents. There in Paradise they refused to let themselves be ruled by God; they rebelled against the Lord in an effort to be free and thus found themselves bound fast by the chains of sin and death. The tree of the knowledge of good and evil, the tree of life, became for them the tree of death. Consequent of their rebellion they were cast out of Paradise, out of the Kingdom of God. Even so, the Lord’s love for sinful humanity never ceased or lessened, leading him to call Noah, Abraham, Moses and countless others - David among them - to prepare mankind for the day of salvation, for the day of true freedom when man and woman would again be ushered into Paradise, when those gates would be opened and the fiery sword cause us no harm. How are those gates, that Christ himself has closed, to be opened? They are opened by the power of the cross, for the cross is the key to paradise. …the blood of a spotless lamb dissolved the pact of that ancient transgression. There the whole perversity of the devil’s mastery was abolished, while humility triumphed as conqueror over boasting pride… Who could explain the mystery of such a great gift? Who could describe the power of such a marvelous transformation? In a brief moment of time, the guilt of a longstanding wickedness was abolished. It is on the Cross that the true power of Christ is revealed, clothed in his humility. In today’s Gospel we are met with two thieves: one who mocks Christ and refuses to submit to him, and another who submits to the will of Christ and takes his gentle yoke upon his shoulders (see Matthew 11:29). “Today you will be with me in Paradise,” says the Lord Jesus as he hangs on the Cross (Luke 12:43). What beautiful and comforting words he speaks to the repentant thief, whom tradition names Dismas. His faith in the kingdom did not depend on seeing Christ. He did not see him in his radiant glory or behold him looking down from heaven. He did not see the angels serving him. To put it plainly, he certainly did not see Christ walking about in freedom, but on a gibbet, drinking vinegar and crowned with thorns. He saw him fastened to the cross and heard him begging for help, “My God, my God, why have you forsaken me” (Psalm 22:1)? It was precisely in seeing Christ crucified that Dismas’ faith awakened and he beheld true love and salvation. It was here that the repentant thief recognized the Kingship of Christ, leading him to beg, “Jesus, remember when you come into your kingdom” (Luke 23:42). Looking upon the cross, Dismas came to know the Lord so intimately that he learned to call him whom he had not known by name. The cross that led Dismas to faith led the first thief to mockery. Reviling Jesus, he said, “Are you not the Messiah? Save yourself and us” (Luke 23:39). Whereas Dismas was moved with compassion for this innocent sufferer, the other thief thought only of himself. Remaining in his stubborn pride, he refused to yield to the power of love. He closed his eyes to the beauty that hung on the cross next to him. He would not allow himself to be conquered by this King. So many people today have this same blindness: they refuse to see the beautiful love of Christ, though manifestations of it surround them each day. Paradise, once blocked off from us because of our sin, now lies open to those who extend their hands in humble love and faithful service to Christ. With the Cross, Jesus opens wide the door of God, the door between God and men. Now it is open. But also from the other side the Lord knocks with his Cross: He knocks at the door of the world, at the doors of our hearts, which so often and in such great numbers are closed to God. And he speaks to us more or less in this way: If the proofs that God gives of himself in creation do not succeed in opening you to him; if the word of Scripture and the message of the Church leave you indifferent - then look at me, your Lord and your God. Today, Christ the King knocks with his Cross at the door our hearts, asking us to prepare them for his throne. Will you let the Crucified King reign over your life? Do not fear his power, for it is the power of love, before which no other power can stand. The tree brought ruin to Adam. It will bring you into paradise. Do not fear the Serpent. He will not throw you out, for he has fallen from heaven. [Jesus will] not say to you, “This day you will depart,” but “This day you will be with me.” Take heart; you will not be thrown out. Do not fear the flaming sword, because it stands in awe of its Lord. Ephrem the Syrian, Commentary on Tatian’s Diatessaron, 20.24 in Ancient Christian Commentary on Scripture, New Testament, Vol. III: Luke. Arthur A. Just, ed. (Downer’s Grove, Illinois: Inter Varsity Press, 2003), 365. Saint Leo the Great, Sermon 55.3, in Ibid., 366. Saint Jerome, On Lazarus and Dives, in Ibid., 366-367. Pope Benedict XVI, Homily, 1 April 2007. Cyril of Jerusalem, Catechetical Lectures, 13.31 in Ancient Christian Commentary on Scriptures, New Testament Vol. III, 366. This temperament combination is highly driven to succeed—not for success’ sake alone, but because their melancholic nature is drawn to high ideals, and their phlegmatic side will have a strong desire to please. Thus, they are capable of long-range planning, organization, and attention to detail that makes them excellent and conscientious scholars. They are capable of pursuing highly idealistic goals, usually with long-term academic requirements, such as attaining their doctorate. They value their friendships, but can spend many hours alone reading or studying. They may have a tendency to hypochondria or to genuine physical weaknesses, as well as a tendency to timidity and anxiety, especially about new activities or ventures. One melancholic-phlegmatic we know is highly organized, critical, slow, and dogmatically unforgiving, yet reveals her phlegmatic aspect in her intense discomfort with confrontation (unless she is very at ease among the warring members) and in her strong relationships with her friends. You wouldn’t guess that she is so devoted to her friends, however, because true to her melancholic nature she rarely initiates contact with them – they always have to call her first. A tendency to avoid the stresses of social interaction by spending overmuch time alone—whether in scholarly pursuits or reading for relaxation—is something that melancholic-phlegmatics need to watch out for. If your temperament is melancholic-phlegmatic, for a better understanding of your temperament it is recommended that you read the full descriptions of the melancholic and phlegmatic. All in all, it seems pretty accurate. What type are you? Bidding him in thy footprints to follow. The garden he lost to the serpent. Which it left, as an exile to wander. My original Thanksgiving plans called for me to return home to Quincy to spend Thanksgiving Day with my family and to baptize the child of some dear friends earlier this evening. Several days ago when I learned of the cold front that moved in yesterday I sent word home that I might not be able to make the drive to Quincy because of the weather’s affect on my arthritis. My suspicion proved correct yesterday; my knees would not have been able to make the three and a half hour drive home in a car without stops on the roadside every fifteen minutes to stretch. Consequently, I spent a quiet Thanksgiving at the rectory resting. Last night, I went to the home of some parishioners for a very nice Thanksgiving dinner. Before going to bed last night, I had decided to return to Quincy this morning for the baptism of my friend’s son, but the Lord had other plans. I was called this morning to the hospital to attend a dying parishioner who has been in the hospital for several days. A little more than a year ago she was diagnosed with cancer. Through the care of a good medical team and the fervent prayers of a great many people the cancer was removed, only to appear again a short time ago. Her husband remained faithfully by her side, ever confident that she would recover. She never complained about her cancer, but accepted it with a grace both human and divine. The couple questioned the purpose of the cancer but never doubted God’s goodness or his presence in their married life together. They are, to be sure, a special and blessed couple, a true witness to the world of the love of Christ Jesus for his Bride, the Church. I count it a special blessing of the Lord to have shared in their life. Shortly after the cancer was first discovered I visited with them in their home and prayed with them, administering the Sacrament of the Anointing of the Sick to her. Within the past six months, it seems she received the Sacrament another six times, from the hands of a number of priests, lastly by mine. When I arrived at the hospital this morning shortly after eight o’clock I expected to pray the Commendation of the Dying with the family. After a few moments her husband asked if I would anoint her. I did so and visited for a short while after the family. Given the great number of them present I thought it best to excuse myself and to await another phone call later in the day. That call came around ten o’clock this morning. I hurried to the hospital to pray the Commendation of the Dying; this time the family was ready. To pray the Commendation of the Dying with someone who is one of the unique privileges of the priesthood. Sadly, it seems to be becoming a rare privilege as people do not often call the priest before a person dies. I do not know why families wait so long to call a priest but I suspect it is partly because they do not want to “bother” the priest because “Father is so busy already”. Frankly, call the priest; Father is supposed to be busy with these prayers, not with meetings and other things. I am grateful that the family called for me this morning. The Commendation of the Dying begins with a litany of various scriptural verses, followed by the Litany of Saints when the Church calls upon the Saints of God to assist the dying person by their prayers. Though I was unaware at the time, the family tells me that at time I prayed, “Saint Joseph,” and they responded, “Pray for her,” by parishioner began to die very peacefully. As I prayed a few moments later, “I comment you, my dear sister, to almighty God and entrust you to your Creator,” she died. I said to her, “Go forth, Christian soul, from this world in the name of God the almighty Father,” and she did. It was a moment I shall not forget and for which I shall be ever grateful. The life of a priest is blessed, indeed. If you’re wondering about the baptism, there were to be several priests present who are all friends of this particular family. I called one of them, the parochial vicar of the parish where the baptism took place, and he baptized little Isaac. 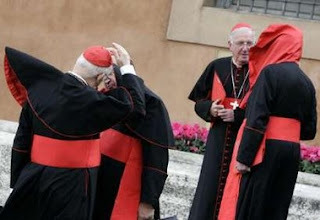 Just in case you find yourself who wondering who these Cardinals are - or if you have some time on your hands and want to identify the Cardinals in the previous post - you might want to visit the Holy See Press Office's page on the College of Cardinals. There you will find statistics, pictures, biographies and more. I love this one. We all feel like that at one time or another, don't we? Even down-hill journies aren't always easy. Even so, it doesn't seem to bother this Prince of the Church much. VATICAN CITY, NOV 23, 2007 (VIS) - The new Encyclical of Benedict XVI, "Spe salvi," will be presented in the Holy See Press Office at 11.30 a.m. on Friday, November 30. The document will be presented by Cardinal Georges Marie Martin Cottier O.P., pro-theologian emeritus of the Pontifical Household, and by Cardinal Albert Vanhoye S.J., professor emeritus of New Testament exegesis at the Pontifical Biblical Institute. 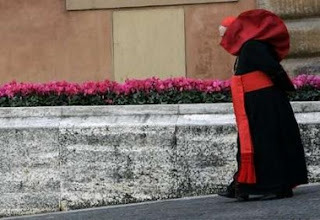 Amy Welborn has begun posting in preparation of Saturday's Consistory for the elevation of 23 Cardinals. 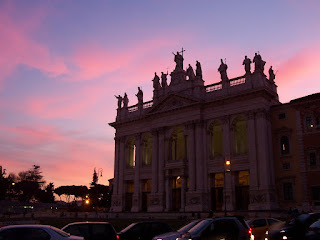 Her post includes interesting links to interviews and bios of a couple of the Cardinals, as well as a good description of what happens during a Consistory. She's done an outstanding job in amassing a wealth of information for us all in one place. Thanks, Amy! It takes no more than just a few minutes of watching the "news" on television - or reading it in the papers, for that mater - to notice that what is called "news" is not much more than commentary and editorializing. As I readied for the day this morning I was listening to the news on a couple of different channels in an attempt to ascertain if anything of note occured throughout the world during the night (it appears not). I stopped one station to listen to a bit of discussion about thanskgiving, not so much the day but the act of giving thanks. One of the guests - an "expert", no doubt - said that thanksiging was a very "life-affirming" activity. She never quite said just what she meant by that. The second of the guests tried to help us realize for what we might be thankful if, say, we were suffering some disease or a family member lay dying. He suggested we be thankful that we have people who love and care for us. What struck me first about these two guests and their comments was that in discussing thanksgiving, neither of the two mentioned anything about God, or even a "Supreme Being" (the host said nothing to that end, either). If there be not God, to whom are we to be thankful? More to the point: if there be not God, for what are to be thankful? If there be not God life simply is pointless and dull. My second thought concerned the notion of thanksgiving as being "life-affirming." That may be the case, but there is far more to it than that. Thanksgiving is, first and foremost, the acknowledgment that I am indebted to someone else; to other human beings, yes, but most especially to God. To give thanks is to acknowledge my dependence. My thoughts then turned to the comments of the second guest. There are many people who do not feel or believe that anybody cares about them. For what are these to give thanks? 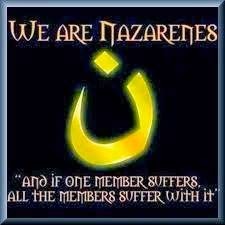 Our guest would have no answer for them that might bring them comfort, but the Christian does have an answer. Life is inevitably a series of blessings and tribulations, for both of these we must give thanks. We owe thanks to God for the blessings he lavishes upon us for obvious reasons. We owe thank to God for the sufferings and trials he allows us to endure for the opportunity to suffer with his Son, to be united with the Crucified Lord. Than yours, my altar boy. Hat tip to a Shower of Roses. Typically here at the parish we have three servers at the weekend Masses, one crucifer and two candle-bearers. The three scheduled servers for the anticipated Mass on Saturday evening apparently arrived early enough for another server not to see them. About ten minutes before Mass was to begin, a fourth server popped into the sacristy. He looked around and, with a bit of disappointment in his voice, said something like, "I was just seeing if you had enough servers." "You can serve, too, if you want," I said. "What will I do?" he asked. "I don't know, but I'm sure we can find something for you to do," answered I. "If I could have a dozen servers, I would." Then, with a smile on his face, he asked, "Can I get my brother, too?" Knowing that his brother was a freshman, I said, "Sure, if he wants to serve, too." To my surprise - and to my delight - he came back with his brother and we had five servers last night. It was a hoot! During the sign of peace, the fourth server - who is quite a character in and of himself - said to me, "It's like a party here." I chuckled a bit and agreed, giving thanks to God for such a generous soul. I'm not really sure what the two extra servers did, but I am pretty certain we had a good number of people worried as we processed up the aisle! If only all of our servers were as energetic and as generous as that fourth server. He's in the sixth grade now and I hope he keeps at it. He reminded me last night of what I was like in grade school. By no means did I ever have his exuberance, but his desire to serve Mass I did have. I always hoped that servers would not show up so that I could serve. Serving became for me a great love and joy, one that fostered - I am sure - my vocation to the priesthood. May the same be said of other servers today! This week’s Catholic Times contains a brief article stating that Pope Benedict XVI has dismissed Msgr. Eugene Costa from the clerical state. This process is what is commonly called “laicization”. I want to speak with you today about what it means to be dismissed from the clerical state, because it is a matter of great concern for the Church and for individual members of the faithful. It is a most serious matter that deserves our attention. to Christ by a special grace of the Holy Spirit, so that he may serve as Christ's instrument for his Church. By ordination one is enabled to act as a representative of Christ, Head of the Church, in his triple office of priest, prophet, and king. “[T]his share in Christ's office is granted once for all. The sacrament of Holy Orders … confers an indelible spiritual character and cannot be repeated or conferred temporarily.” By virtue of this indelible mark, the priest receives the sacred power to act in persona Christi, to act in the person of Christ, when he celebrates the Eucharist and hears confessions. By virtue of his ordination, every priest stands in the midst of the Church in the place of Christ, who is the Head and Shepherd of the Church. The grave infidelity of a few priests is disheartening and lamentable, but it is not a reason to lose faith or hope. It is, rather, a reminder that each of us is daily in need of the Lord’s merciful love and that we must each cooperate with his grace if we are to attain salvation. We must always remember that “the day of the Lord is coming, blazing like an oven, when all the proud and all evildoers will be stubble” (Malachi 3:19). The Holy Father has dismissed Costa from the clerical state ex officio et pro bono ecclesiae, that is, by virtue of his office as Successor of Peter and Vicar of Christ, and for the good of the Church. What, then, does it mean to be “laicized”? 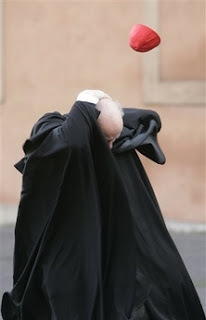 The Code of Canon Law views priests in three respects: first, in terms of the sacrament of holy orders he has received; second, in terms of his faculties to exercise his priestly ministry; and third, in terms of his relationship to a diocese. As we have already seen, once a priest is ordained his ordination cannot be removed or taken away; he is a priest forever because the sacred character, the indelible mark, he received is permanent. The faculties that a priest receives either from the law of the Church or from his local Bishop give him permission to exercise his priestly ministry; no priest can function without the approval and support of his Bishop, whose extension he is. This third aspect concerns the dismissal from the clerical state. He is still a priest, though he may neither function as such nor present himself as a priest; he is forbidden to exercise the sacred power entrusted to him at his ordination even though he still bears the sacramental character on his soul. The term “laicization” is not meant as a derogatory statement toward the laity; it is rather a statement of fact. There are two states of life in which all Catholics live; a Catholic is either a cleric or a layman. A man who is dismissed from the clerical state no longer lives as a cleric but as a layman, even though he is still a cleric. There is not a third state in which he can live; for which reason this process is commonly called “laicization”. The power of the sacraments is unaffected by the sinful of the priests who celebrated them, which is a cause of hope and joy for each of us. Today, as the sins of another are so publicly before us, let each of us look upon our sins and seek the Lord’s mercy through the grace of the sacrament of Penance. Let each of us fear the name of the Lord, that there may arise for us the “sun of justice with its healing rays” (Malachi 3:20). Let us persevere in humility, faith, hope and love, so as to secure our lives in heaven (see Luke 21:19). Amen. Kathie Sass, “Former priest dismissed from clerical state,” Catholic Times, 18 November 2007, page 2A (111:38). Catechism of the Catholic Church, 1581. See also Canon 290. Gregory Ingels, J.C.D., “Loss of the Clerical State.” Available at http://www.opusbono.org/canonlaw/articles/loss_of_the_clerical_state.asphttp://www.opusbono.org/canonlaw/articles/loss_of_the_clerical_state.asp. Accessed 16 November 2007. See also canon 292. 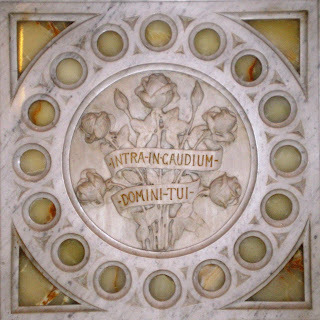 Thom at Ad Dominum has a couple of good posts today, one on greetings for the upcoming season and one explaining various political systems with cows. Sr. Mary Martha responds to a concerned parent about instilling the faith in her children. At the same time she offers a terrific game for Advent: the “straw in the manger game”. The Crescat has a touching story on an act of charity performed in a church cry room. Rocco has heard whispers that Spe Salvi could be signed on November 30th. I hope so (pun intended)!!! One of my parishioners is looking for a book on the saints. In particular, she is looking for one that has several stories of saints, and especially the lives of more recent saints. Have you any suggestions? Hat tip to the American Papist. You might say that it's only a building, made of ordinary stone-- however artfully crafted. You'd be half right. It is a building, but not only a building. A church is never only a building. It is a sacred space. Even in the humblest little parish church, the Eucharist is celebrated. People are baptized, confirmed, married, and mourned; perhaps they are buried in an adjoining graveyard. Catholics can trace their own spiritual histories through their parish churches, and some can boast that many generations of their ancestors were baptized and married in the same building. Given the most sacred nature of the sacraments which will be simulated, the women involved and any Catholic who knowingly and deliberately assists them risks the eternal salvation of their souls. They commit mortal sin. Because of the most grave, public and obstinate nature of the proposed act of attempted ordination, the Church automatically applies medicinal penalties to the parties who complete the act. Medicinal penalties, for example, excommunication and interdict, are aimed at calling the persons away from their sin and to reconciliation with Christ and His Church. The women involved have been duly admonished regarding the penalties which they will incur, should they proceed with the attempted ordination. Any medicinal penalties or censures incurred will be appropriately declared, so that the ecclesial status of the parties involved may be clear for all. I urge you, therefore, to offer fervent prayers for the women involved, that they will repent and be reconciled with the Church. Please pray, too, for all who will be confused and led astray by their sinful action. Be sure to keep the Archbishop in your prayers, as well, and his brother Bishops, that all might faithfully and clearly teach the Catholic faith. Although the attempted ordinations will produce no sacramental reality, that is, will be sacramentally empty, they will be the cause of much confusion among the faithful and others who are not members of the Roman Catholic Church. I hope that the above helps you to understand better my response, as archbishop, to the most sad situation of the attempted ordinations. I hope that it also leads you to seek a deeper understanding of the Church’s teaching in the matter and helps you to be able to respond to the inevitable questions which will be raised to Catholics by friends and acquaintances. I thank you, in advance, for whatever you can do to help others to understand the Church’s teaching and practice. Above all, I hope that my reflections will lead you to pray for the conversion of heart of the women involved, for the sake of their eternal salvation and for the sake of the many whom they will lead into confusion about the Church’s teaching and practice. Prayer can accomplish more than we ever imagine, and the present situation needs the help of many prayers. The entire article is well worth a read. Hat tip to Diogenes. A friend sent this to me today and I thought I'd share it with you. A good number of my friends were schooled at home and show no signs whatsoever of the "negative" aspects of homeschooling the media continually attempts to put forth. I have great respect and admiration for parents who choose to school their children and I will give them every encouragement in the future to do so. 15 Stop asking, "But what about the Prom?" Even if the idea that my kid might not be able to indulge in a night of over-hyped, over- priced revelry was enough to break my heart, plenty of kids who do go to school don't get to go to the Prom. For all you know, I'm one of them. I might still be bitter about it. So go be shallow somewhere else. It’s been some time, I know, since last I posted. It isn’t that I haven’t had anything to post, but rather that life has been quite full lately and I haven’t had a good opportunity to type something worthwhile. Friday I sent the inaugural letter of the World Youth Day 2008 “begging campaign” through the post and I am very anxiously awaiting its response. Once it comes, other letters will go out. Saturday we began the first of our major fund raising efforts to get to the land “down under.” Most of the pilgrims and their parents gathered in the parish center and baked 44 pumpkin pies and 30 apple pies. The day itself was a great delight! I didn’t do any the baking but instead wandered about making sure things were going well and that people had what they needed (it’s what I do best). I also popped in and out working on Sunday’s homily (which never quite made it’s way to paper; I “stole” most of it from the Church Fathers). It was great to see sons baking with their mothers. I also discovered that those apple peeler/corer thingies are a great amount of fun! We had such a good time that we baked 74 pies in about five hours. The pies were sold after the weekend Masses and flew very quickly, even at $10 and $12 a pie; I was amazed, and very thrilled! We were completely sold out mid-morning! We’re taking orders to bake more pies to have ready the day before Thanksgiving, a small stroke of genius on our part, I think. So far, even with pies ordered and not yet paid for, we’ve raised $1,500 by selling pies. We might have to do this again at Christmas and at Easter and at whatever holiday seems good. The profit is so good because many good and generous souls have donated most of our supplies. May God reward them! It’s not every day you find a successful fund raiser that is easy and fun, as well. Sunday afternoon we celebrated our annual bereavement Mass. The family and friends of parishioners who have died within the past year were invited to attend a Mass celebrated for the deceased parishioners concelebrated by the Pastor and I, followed by a small reception. After the day of baking followed by the weekend Masses and the bereavement Mass, I found myself quite exhausted and went to bed early on Sunday. Monday I woke up still completely exhausted, only not because of the weekend but because of an incoming cold front (I’m told another front is supposed to be moving in by week’s end so I’ll be going through this again soon, I expect). I cancelled all unnecessary appointments and, by the end of the day, was glad I did. After classes at the high school I returned to my suite to try to get a bit of rest. At some point I fell asleep on the couch. When I awoke I sat up and peeked out through the blinds. Seeing how dark it was outside I guessed to myself, “It must be about 10:30 [p.m.].” When I looked at a clock I learned it was instead 5:45 . . . p.m. Talk about a rude awakening! Still being exhausted, I barely accomplished anything Monday evening and again went to bed early (Tuesday and today I’ve felt significantly better. The task now is to find the best way to handle the colder temperatures with my arthritis. My body hasn’t yet adjusted to the time change, which doesn’t help, either). The rest of my time since then has been taken up preparing for the annual Kairos retreat with the high school seniors. I have several talks that I need to finish up and a dozen or more other odd jobs that must be completed before we leave Sunday afternoon. We’ll be gone through Wednesday evening so I also have to get lesson plans together. Posting will continue to be light through the middle of next week. Your prayers would be greatly appreciated for the upcoming retreat. This weekend I’ll be spending a fair amount of time out at the De Colores weekend being held near Effingham. I will try to type up Sunday’s homily, but I’ll make no promises. I’ve found another fundraiser that won’t require a great deal of effort for my World Youth Day 2008 fundraising efforts. This is how it works: we sell Ignatius Press merchandise through their catalogues. We take down people’s names, addresses, and telephone numbers and the items they want to buy. We then place the order through Ignatius Press, they send us the merchandise, and the buyer picks it up from us. The best part is this: we sell the items at retail value and keep 35% of whatever we sell. It’s that simple. The publisher has put together a list of their items with a decidedly Advent/Christmas theme, but we can also sell anything out of their catalogues. Ignatius Press is the premier publisher in the United States of the writings of Pope Benedict XVI, both as Pontiff and as Cardinal. They have books for adults and children, from coloring books to spiritual books to history books and everything in between. They have a fantastic selection of quality movies and CDs and some beautiful artwork to boot. In short, it’s all fantastic! I’ve already signed the agreement with Ignatius Press and have a large selection of their merchandise sitting outside of my office for display purposes. We’ll try to sell them wherever we go for fundraising things. This fundraiser runs through the end of the year. I've already asked about the possibility of selling their merchandise year round. They liked the idea and are going to consider it. If you're looking for good, quality Catholic items and gifts, come find me and browse the catalogue! Very often when we think of the Saints we think of those people that we see on cartoons. 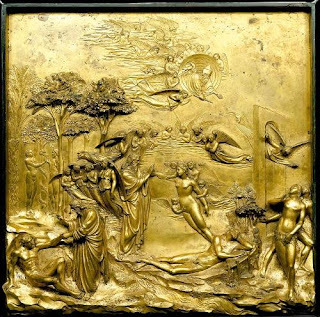 We think of someone floating aimlessly on a cloud and playing a harp. It seems a boring existence to us, and rightly so. The Saints stand forever around the throne of God, praising and worshipping his majesty. The saint is he who is so fascinated by the beauty of God and by his perfect truth to be progressively transformed by it. Because of this beauty and truth, he is ready to renounce everything, even himself. The love of God is enough, which he experiences in the humble and disinterested service to the neighbor, especially to those who cannot give back in return. The Saint is not one who boringly plucks at a harp and floats purposely about. The Saint is the one who follows Christ Jesus without reservation. The Saint is the one who heard Jesus say, “No on who sets a hand to the plow and looks to what was left behind is fit for the kingdom of God” (Luke 9:62). They are the ones who followed the command given to Moses and to us: “Be holy, for I, the LORD, your God, am holy” (Leviticus 19:2). Becoming a Saint is no easy task, “but we are not made for ease.” To this the Lord calls each one of us in a particular and individual way. None of us will grow in holiness in precisely the same way, but we can learn from each other and especially from those who have faithfully followed Christ already. The Church's experience shows that every form of holiness, even if it follows different paths, always passes through the Way of the Cross, the way of self-denial. The Saints' biographies describe men and women who, docile to the divine plan, sometimes faced unspeakable trials and suffering, persecution and martyrdom. They persevered in their commitment: "they... have come out of the great tribulation", one reads in Revelation, "they have washed their robes and made them white in the blood of the Lamb" (Rv 7: 14). Their names are written in the book of life (cf. Rv 20: 12) and Heaven is their eternal dwelling-place. Becoming holy, becoming a Saint requires a full embrace of the Cross, in whatever form it comes to us. In this way, we fulfill the command of the Lord Jesus: “If anyone wishes to come after me, he must deny himself and take up his cross daily and follow me. For whoever wishes to save his life will lose it, but whoever loses his life for my sake will find it” (Luke 9:23-24). To embrace the Cross “requires neither extraordinary actions or works nor the possession of exceptional charisms.” What is necessary is “first of all to listen to Jesus and then to follow him without losing heart when faced by difficulties. ‘If anyone serves me’, he warns us, ‘he must follow me; and where I am, there shall my servant be also; if any one serves me, the Father will honor him’” (John 12: 26). To these men and women who have faithfully followed the Way of the Cross throughout the ages, Christ the Lord has said: “Well done, my good and faithful servant. Since you were faithful in small matters, I will give you great responsibilities. Come, share your master’s joy” (Matthew 25:21). When we look at the lives of the Saints, "… as if in a great picture-book, the riches of the Gospel are revealed. They are the shining path which God himself has traced throughout history and is still tracing today." The Saints show us how to follow Christ, the show us his commands can indeed be lived, that one can be faithful in following after him, that each of us is called to holiness. Holiness demands a constant effort, but it is possible for everyone because, rather than a human effort, it is first and foremost a gift of God, thrice Holy (cf. Isaiah 6: 3). In the second reading, the Apostle John remarks: "See what love the Father has given us, that we should be called children of God; and so we are" (I John 3: 1). Consequently, the more we imitate Jesus and remain united to him the more we enter into the mystery of his divine holiness. We discover that he loves us infinitely, and this prompts us in turn to love our brethren. Loving always entails an act of self-denial, "losing ourselves", and it is precisely this that makes us happy. Some Saints were superbly intelligent theologians and others were humble beggars. Some were courageous enough to challenge Popes and others were content to spend their days opening doors for others. Some Saints were married and some were single. Some Saints were joyful always and others were famed for their grumpiness and sharp tongue. The great differences among the Saints simply demonstrate for us that anybody can become a Saint, even you and me. 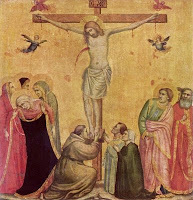 In all that they said and did, the Saints loved Jesus above all else; they placed everything second to their relationship with Christ: their family and friends, their work and duties, their studies and games, everything, and, in the example of the Martyrs, even their very lives. Pope Benedict XVI reminds us that "the saints and the blesseds did not doggedly seek their own happiness, but simply wanted to give themselves, because the light of Christ had shone upon them. They show us the way to attain happiness, they show us how to be truly human." We want to attain true happiness, we want to be truly and fully human, as God intended from the beginning. The Saints asked the Lord, “What shall I do” (Acts 22:10)? We, too, should ask this very same question. In this the Saints can be of great assistance to us. There are many Saints and each of us can relate with at least one of their number. We can find encouragement in their lives knowing that they – who are very much like us – followed in the footsteps of the Savior. Now we can follow in their footsteps, too. Pope Benedict XVI said of the Saints: "For us they are encouraging examples to imitate; they assure us that if we follow this path, the way of love, with fidelity, we too, as the psalmist sings, will be satisfied with God's presence (cf. Psalm 17:15)". We do not praise God sufficiently by keeping silent about his saints, especially Mary, “the holy one” who became his dwelling place on earth. The simple and multiform light of God appears to us exactly in its variety and richness only in the countenance of the saints, who are the true mirrors of his light. And it is precisely by looking at Mary's face that we can see more clearly than in any other way the beauty, goodness and mercy of God. In her face we can truly perceive the divine light. How ridiculous, to want to honour the saints on their days with eating, when we know that they got to heaven by fasting! If we do not imitate the saints, but rather love the world and its glory; if we pamper our bodies with pleasure and amass money: then their justice will prove that we ought to be condemned. The witnesses who have preceeded us into the kingdom, especially those whom the Church recognizes as saints, share in the living tradition of prayer by the example of their lives, the transmission of their writings, and their prayer today. They contemplate God, praise him and constantly care for those whom the have left on earth. When they entered into the joy of their Master, they were “put in charge of many things” [Matthew 25:31]. Their intercession is their most exalted service to God’s plan. We can and should ask them to intercede for us and for the whole world. Pope Benedict XVI, Homily, 23 October 2005. Ibid., Address to His Countrymen, 25 April 2005. Ibid., Homily, 1 November 2006. Ibid., Youth Vigil, 20 August 2005. Ibid., Papal Address at the Shrine of the Holy Face, Manoppello, Italy, 1 September 2006. Ibid., Homily, 15 August 2006. Saint Anthony of Padua, Homily, Fourth Sunday after Easter, 11. Catechism of the Catholic Church, 2683. The pilot of the Enola Gay, Paul Tibbets and a native of Quincy, died today. May God look upon him with mercy and grant him peace. Paul Tibbets, the Quincy, Ill., native who piloted the B-29 bomber Enola Gay that dropped the atomic bomb on Hiroshima, died Thursday. He was 92 and insisted almost to his dying day that he had no regrets about the mission and slept just fine at night. General: That those dedicated to medical research and all those engaged in legislative activity may always have deep respect for human life, from its beginning to its natural conclusion. Mission: That in the Korean peninsula the spirit of reconciliation and peace may grow. We've been waiting for it, and waiting, and waiting, and now the day is finally drawing nearer. I wish I had a copy of it. I had the opportunity to look over bits and pieces at one point many moons ago and I very much liked what I read. Let us pray the Lord to bless with a new translation swiftly. I long for that day. Today's homily is shamelessly taken, in large measure and condensed, from the homily of Pope Benedict XVI given 1 November 2006. Why do we celebrate and honor the Saints today? They have no need of our honor, and our praise of them adds nothing to the joy they experience now and the glory that is theirs. Why, then, do we make so much of them today? To honor the Saints means that we think back on their lives, that we look to them, and to look to the Saints is to be filled with a great and holy longing. The shining example of the Saints reawakens within us the great longing to be like them; happy to live near God, in his light, in his family. Being a Saint means living close to God, to live in his family. What distinguishes us from the Saints? It is the fact that whereas we all too often live as though God did not exist, the Saints knew very well that without God’s existence they would not live. How can we become holy, friends of God? To be a Saint requires neither extraordinary actions nor the possession of exceptional gifts. It is necessary, first of all, to listen to Jesus and then to follow him without losing heart when faced by difficulties. From the lives of the Saints we see that every form of holiness, even if it follows different paths, always passes through the Way of the Cross, the way of self-denial. Their biographies describe men and women who, docile to the divine plan, sometimes faced unspeakable trials and suffering, persecution and martyrdom. They persevered in their commitment. The example of the Saints encourages us to follow in their same footsteps and to experience the joy of those who trust in God, for the one true cause of sorrow and unhappiness is to live far from him. Holiness demands a constant effort, but it is possible for everyone because, rather than a human effort, it is first and foremost a gift of God. It is God who loved us first and made us his adoptive sons in Jesus. Everything in our lives is a gift of his love: how can we be indifferent before such a great mystery? How can we not respond to the Heavenly Father's love by living as grateful children? In Christ, he gave us the gift of his entire self and calls us to a personal and profound relationship with him. If we wish to be truly happy, let each of us follow the witness of the Saints and embrace Christ Jesus above all else that we, too, might live with the Saints in light. Amen. You might also read His Holiness' Angelus Address given on 1 November 2006.